A P60 (End of Year Certificate) is a statement issued to taxpayers at the end of a tax year. It is important that you do not lose the P60 form issued to you, as it forms a vital part of the proof that tax has been paid. In Ireland, it details a taxpayer's taxable income and deductions made by PAYE, PRSI (if applicable) and Universal Social Charge for that year. 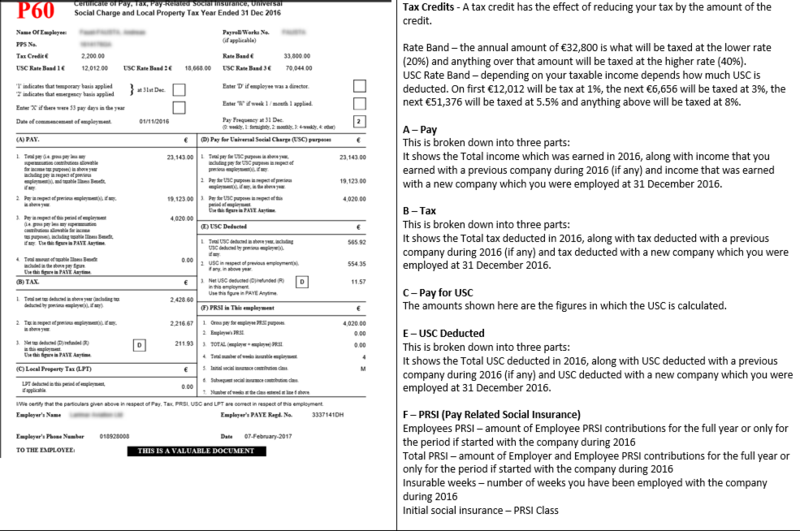 It is your certificate of pay, tax and Irish Social Insurance contributions for the year ended 31st December.